The purpose of the Community Support Center is to prevent and eliminate domestic violence, sexual assault, and stalking through direct services to victims and their children. 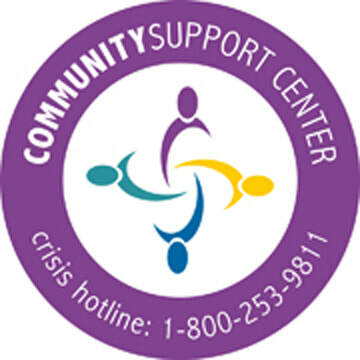 We offer the only 24- hour crisis line in Beaverhead and Madison counties. outreach, someone to talk to, or support to guide your next step. Crisis intervention can be the difference between another episode and safety. We offer the only shelter of this type in all of Beaverhead and Madison Counties in SW Montana. The experience of domestic or sexual violence can be overwhelming. CSC Advocates are trained to offer medical and law enforcement accompaniment as well as in-person crisis counseling. You do not have to go it alone! and federal victim programs including victim notification, victim’s compensation, confidential address program, legal assistance, and services for battered immigrant women. An essential component of society’s judicial system is victim protection. We provide legal and court advocacy to victims, including restraining order assistance. Advocates accompany victims as they go through the judicial system during interviews, preliminaries, trials, and other court hearings, including during and after the decision of the judge or jury. Advocates do not represent the victim legally, but act as a support person. A domestic violence/sexual assault shelter is the safest choice for emotional support and to access assistance within the legal and social service system. CSC provides a safe, homelike atmosphere free of charge. Shelter is more than a warm place to stay and eat meals. Shelter is a combination of a safe home and supportive services provided in the context of a respectful and flexible relationship. The ultimate result--women feeling that they have the ability to get back on their feet while breaking the cycle of violence for themselves and their children. The counseling journey is exhilarating but may be marked with challenges. Change is often difficult for all of us but can be accomplished if and when we are ready to create change. With unconditional positive regard and respect for individual circumstances, clients are supported as they examine the way they think, feel, and behave. Personal perspectives are explored and valued as you are the expert in your own life. The journey of counseling is your own and may be used by you to enhance your quality of life. Professional counseling services are free of charge and offered to individuals, couples, and families. Black words are linked to the forms. A relationship based early intervention program designed to enhance attachment security between parents and children.